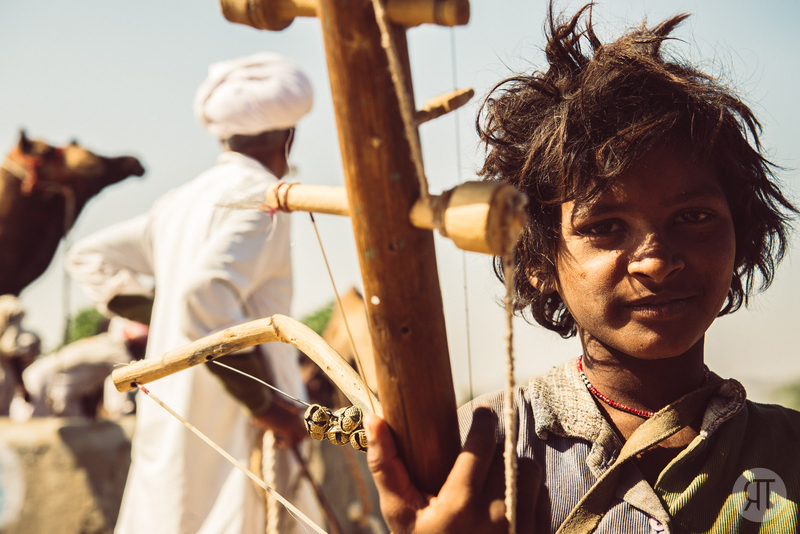 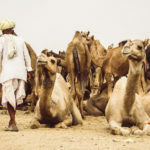 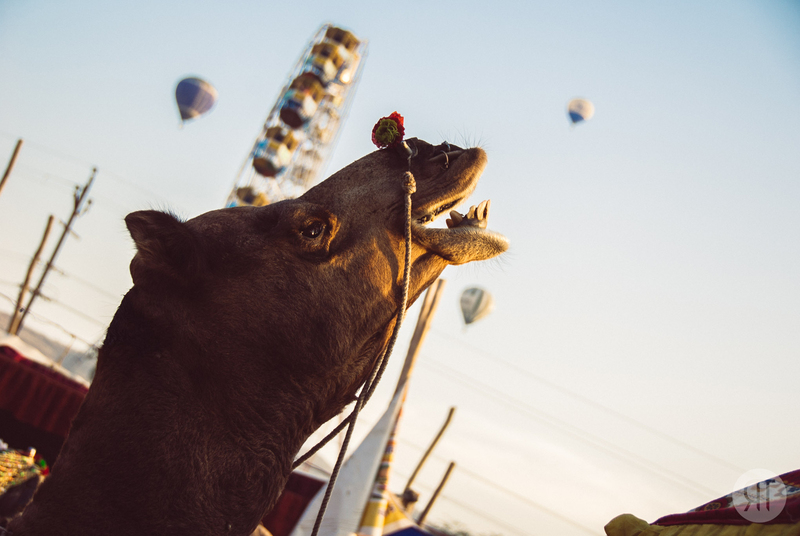 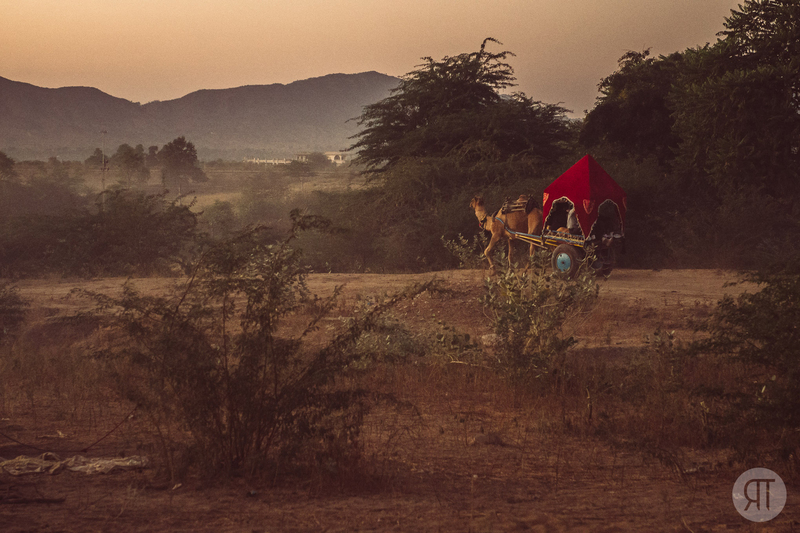 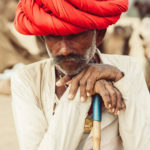 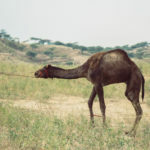 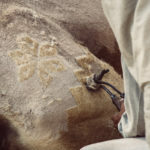 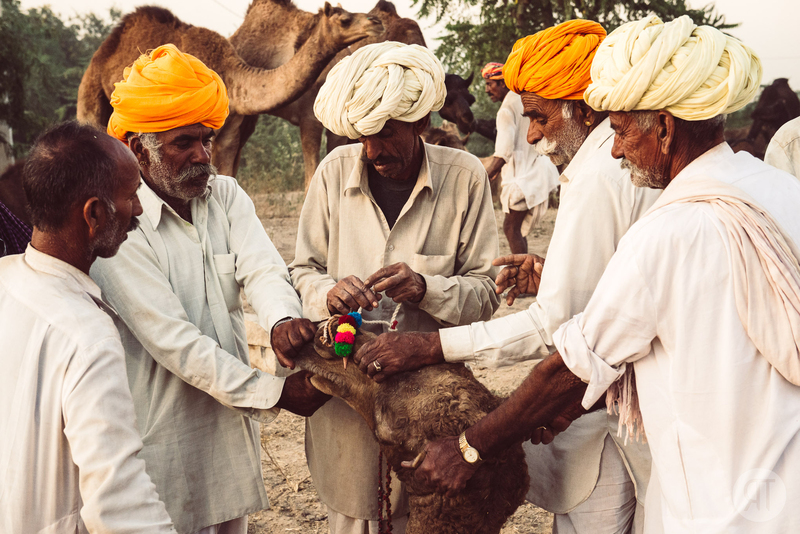 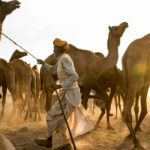 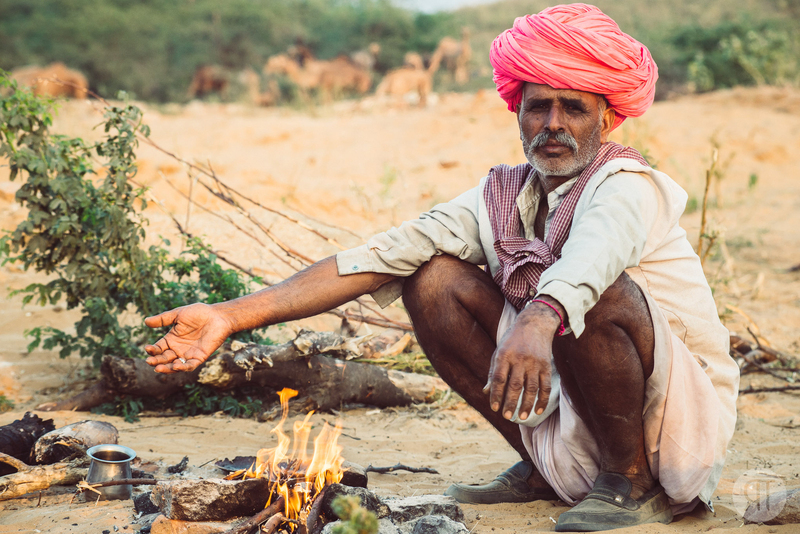 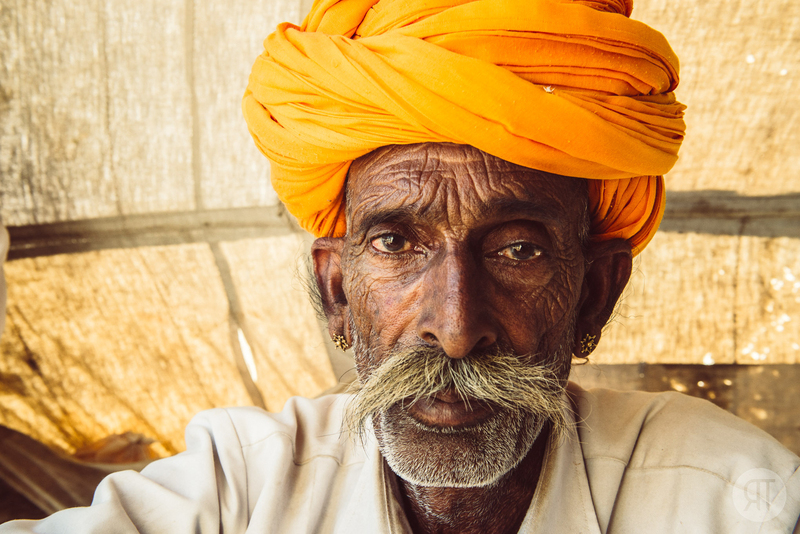 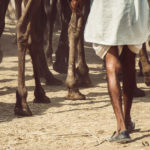 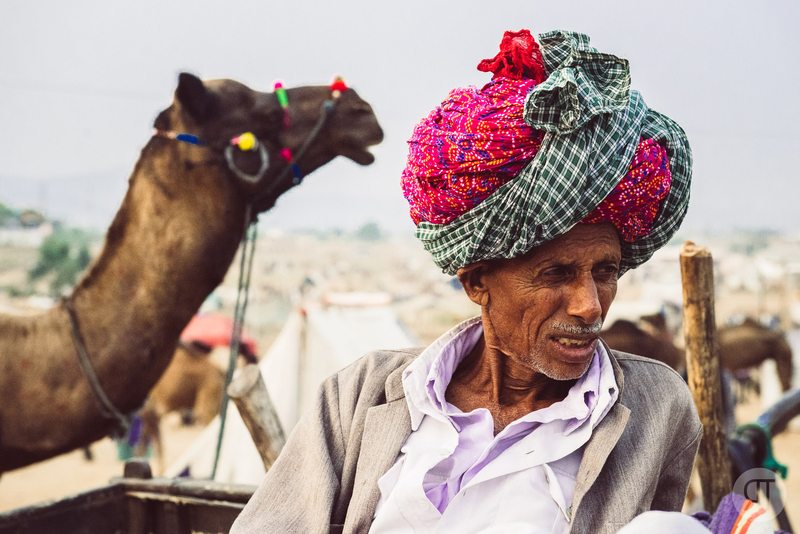 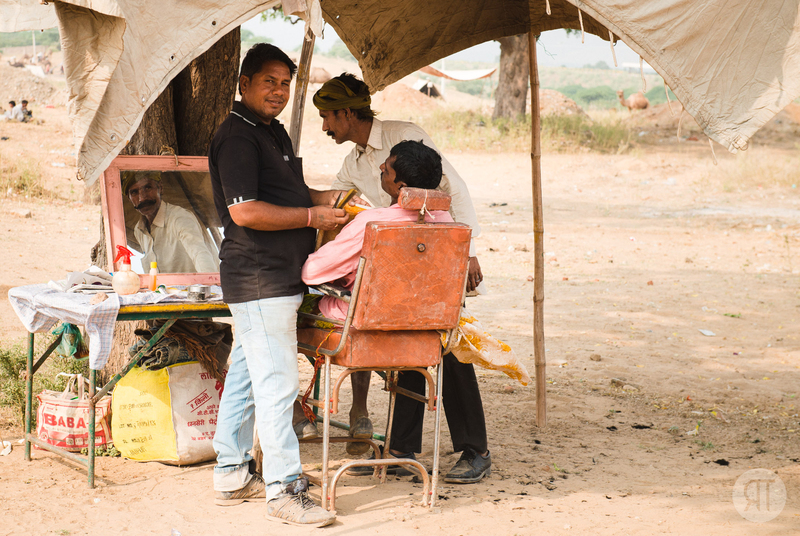 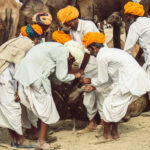 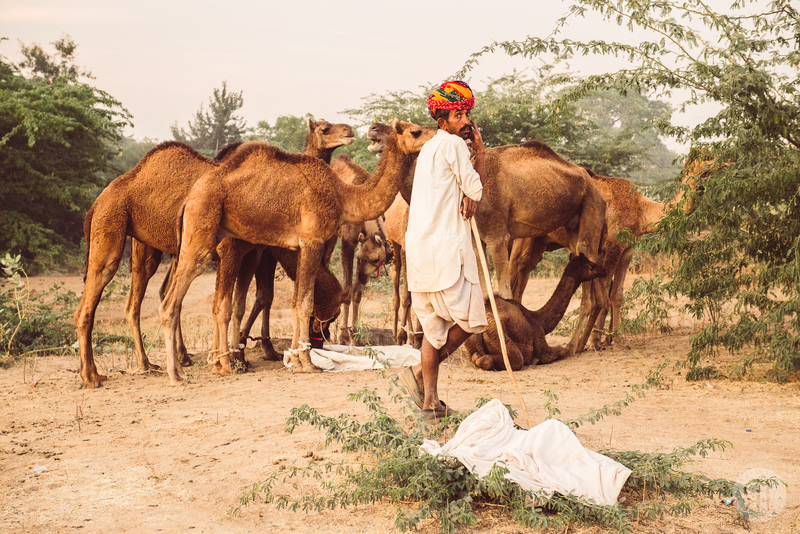 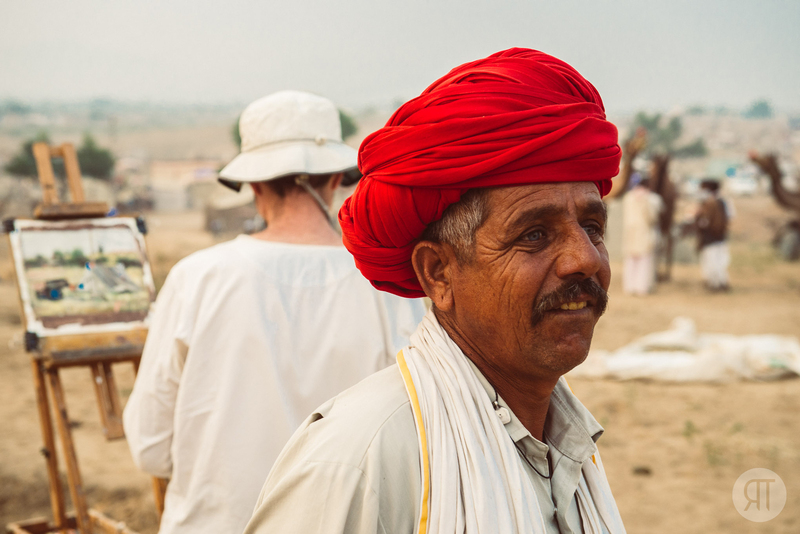 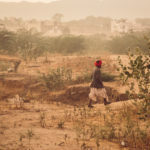 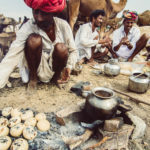 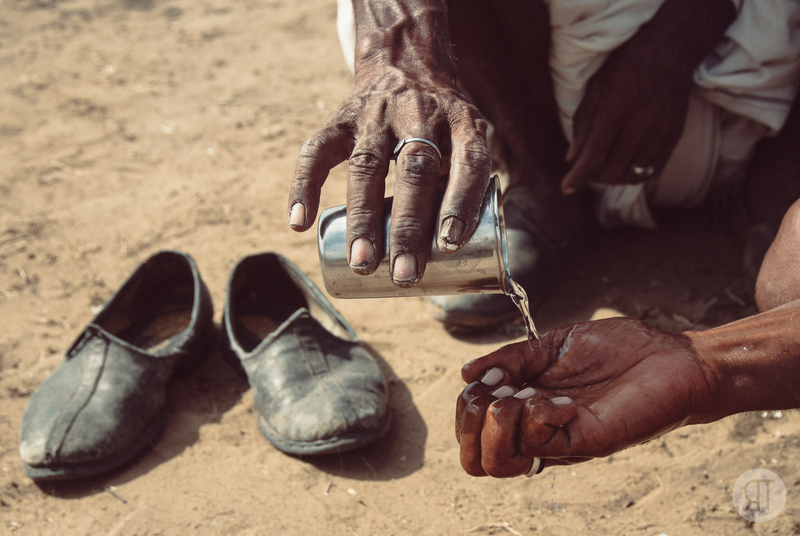 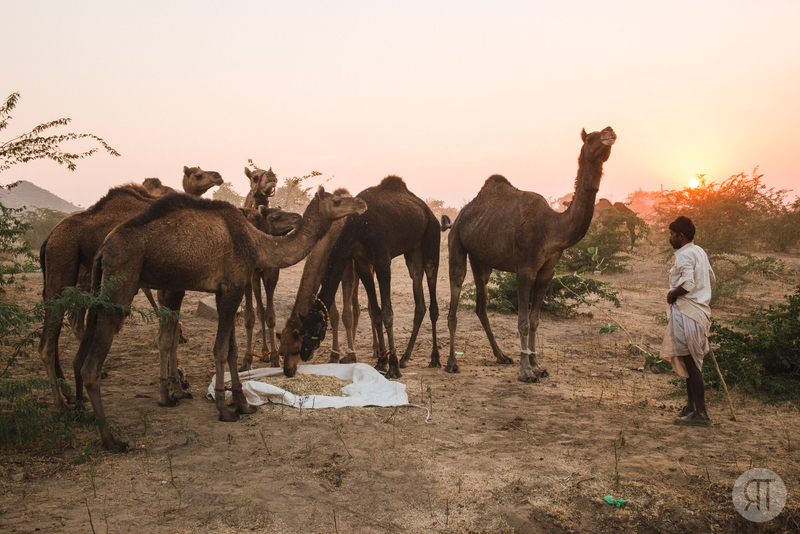 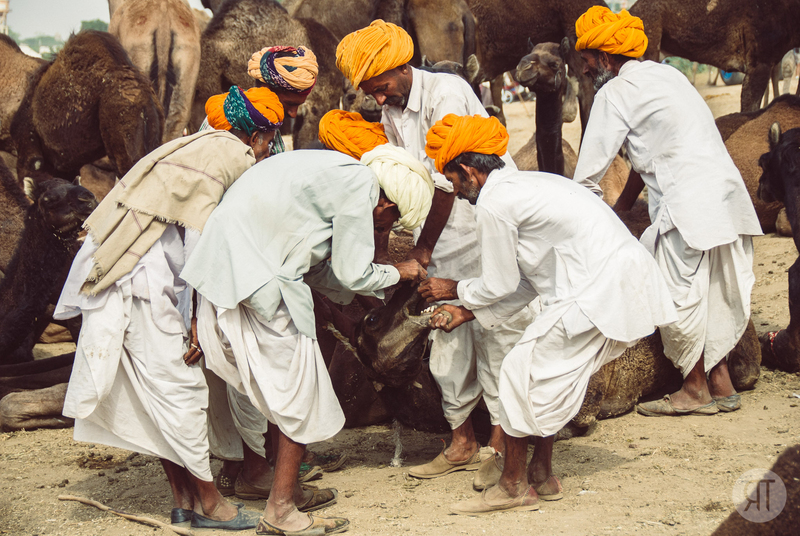 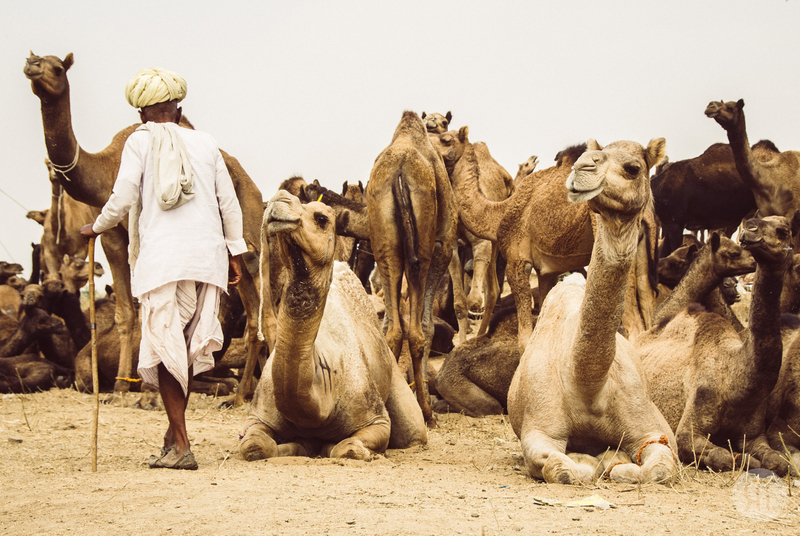 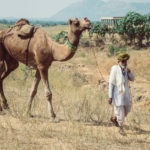 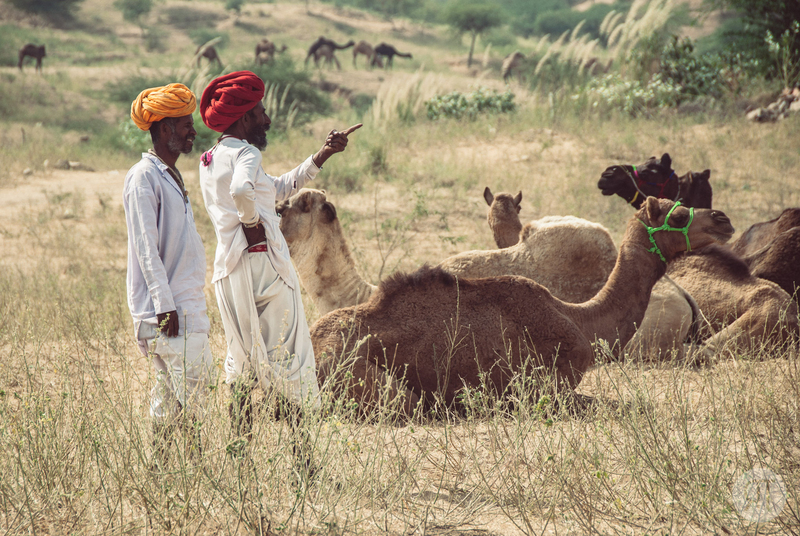 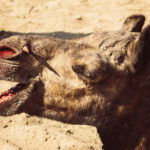 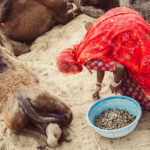 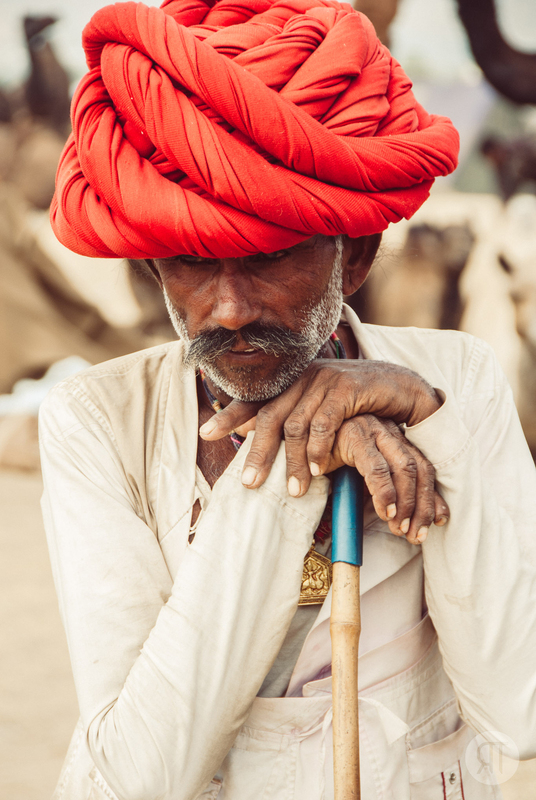 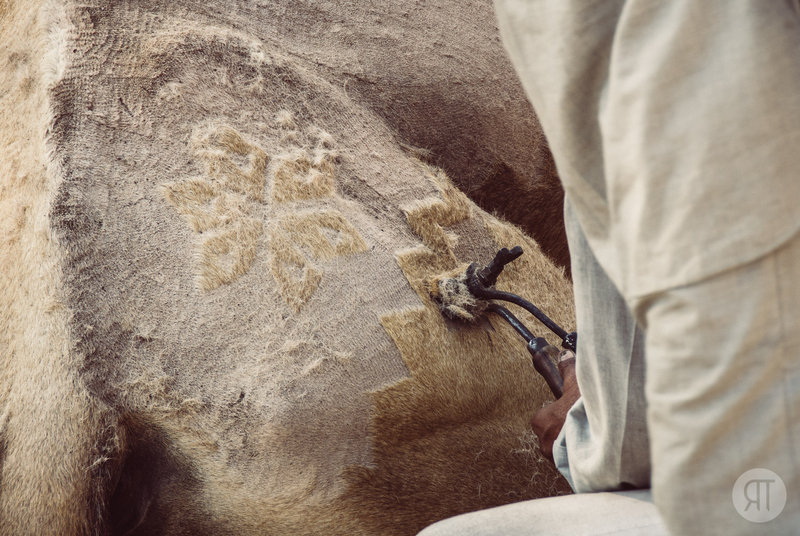 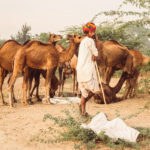 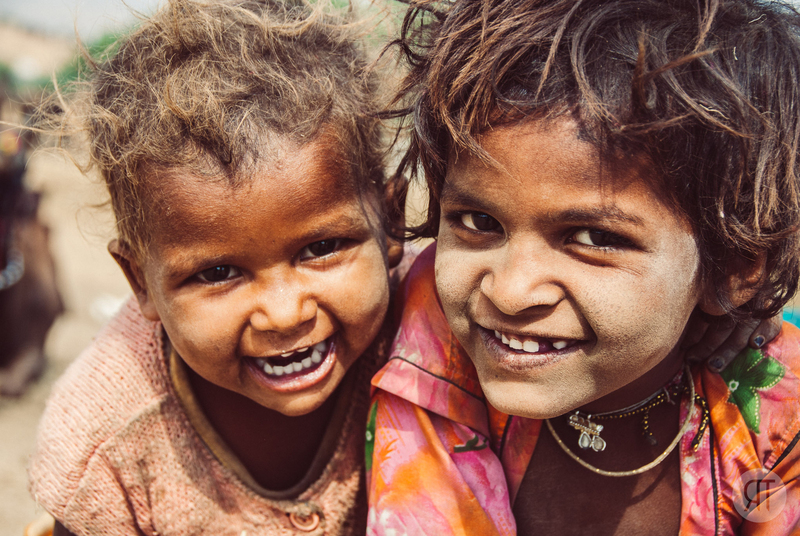 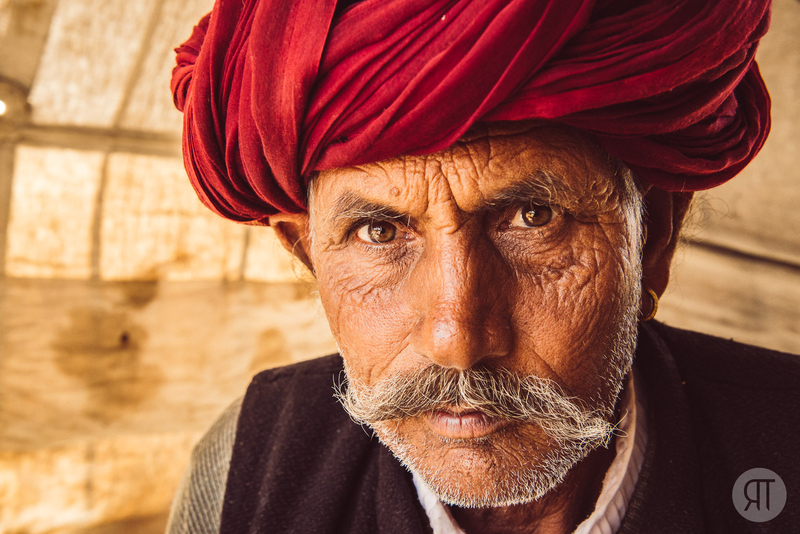 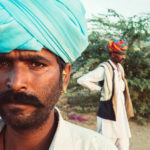 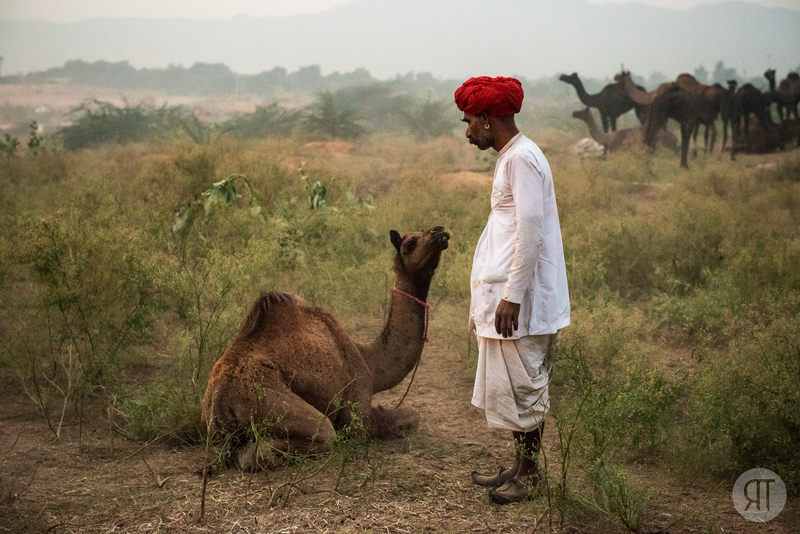 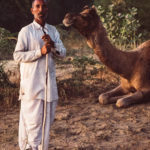 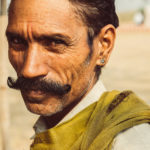 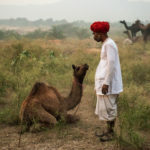 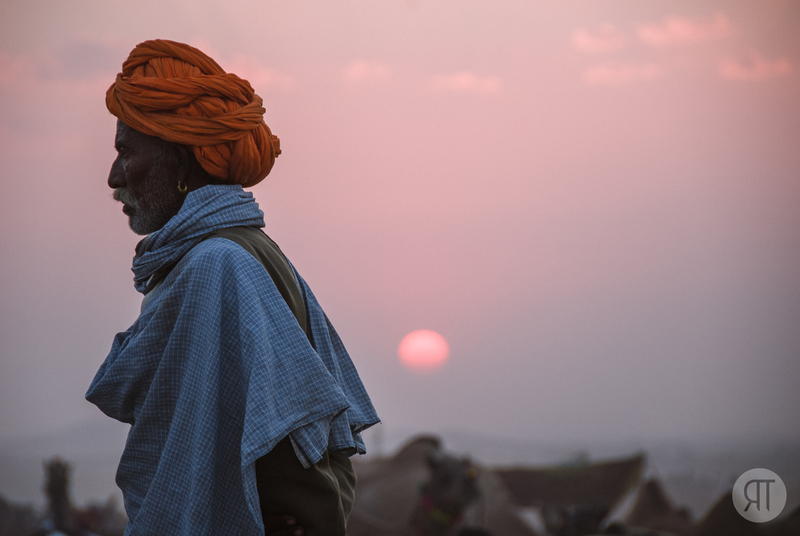 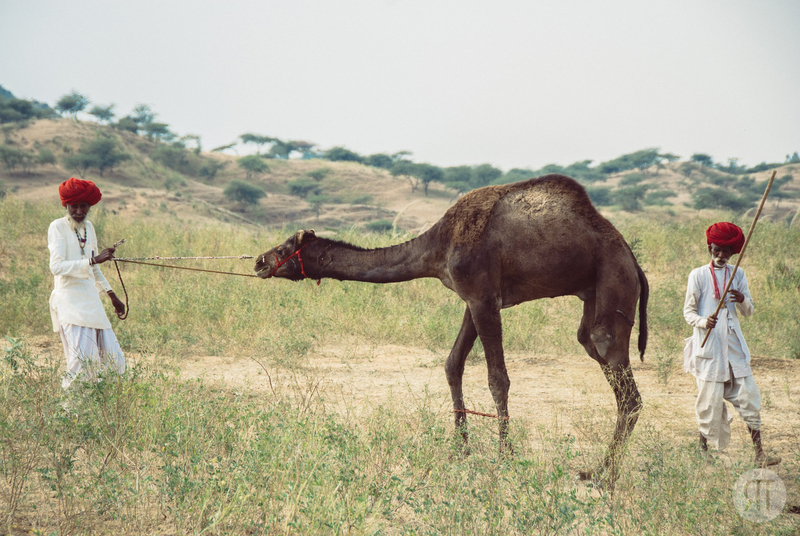 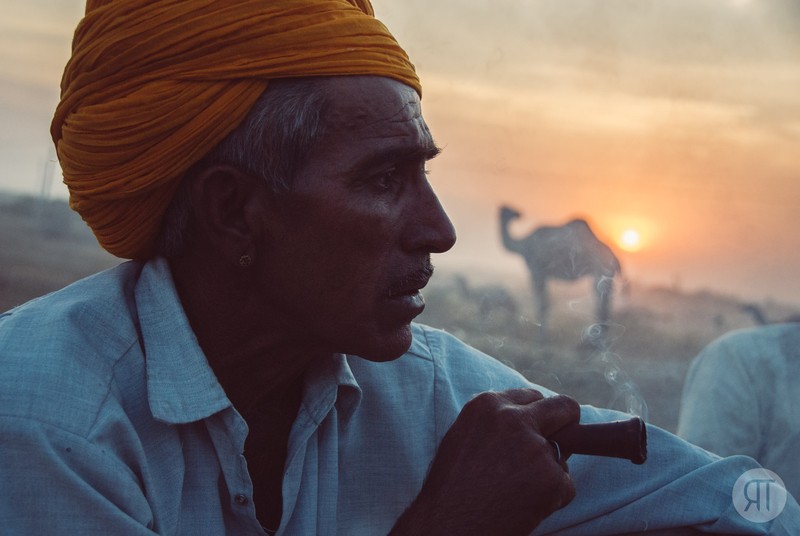 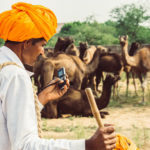 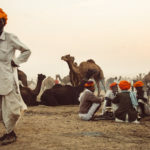 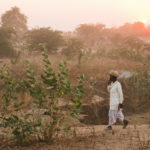 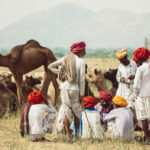 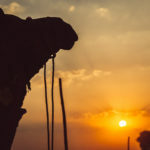 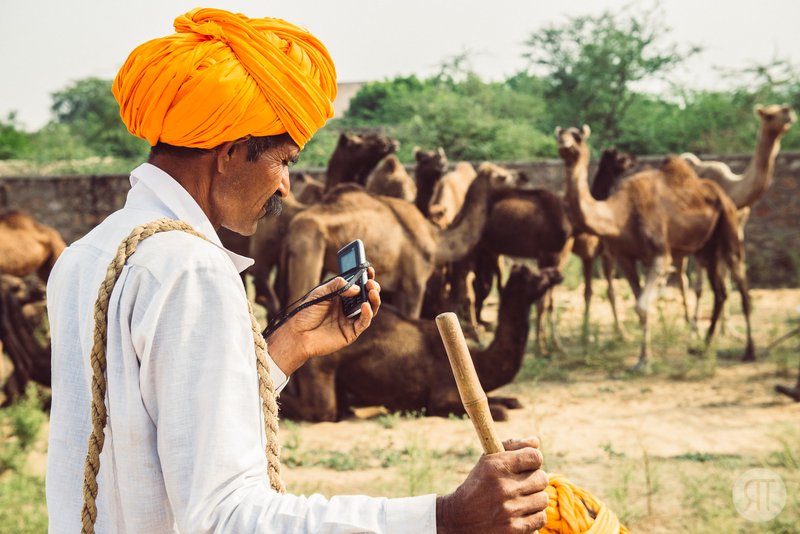 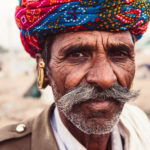 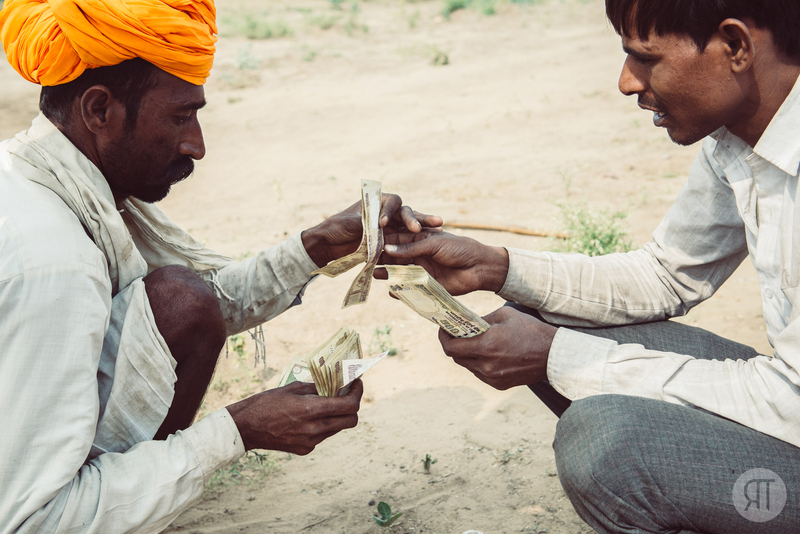 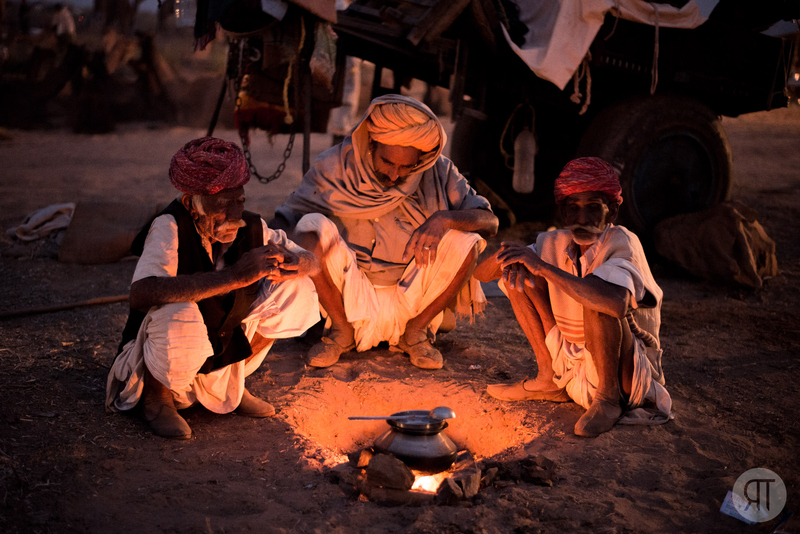 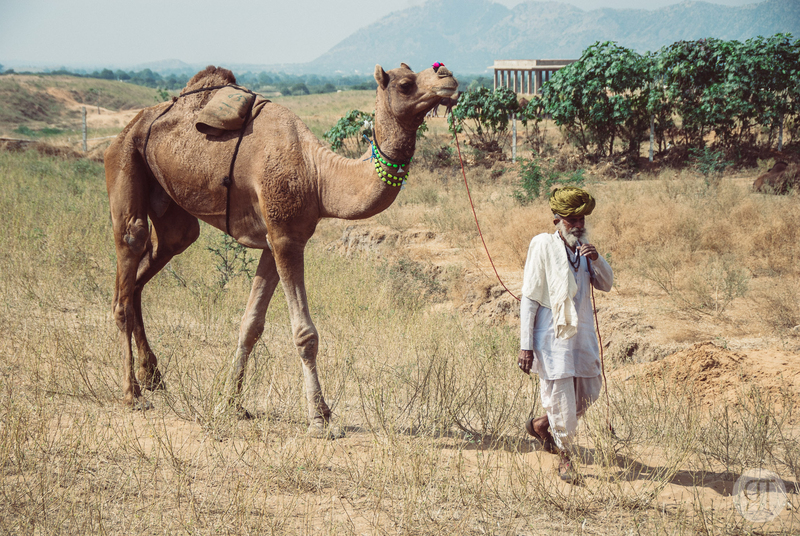 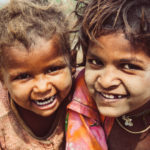 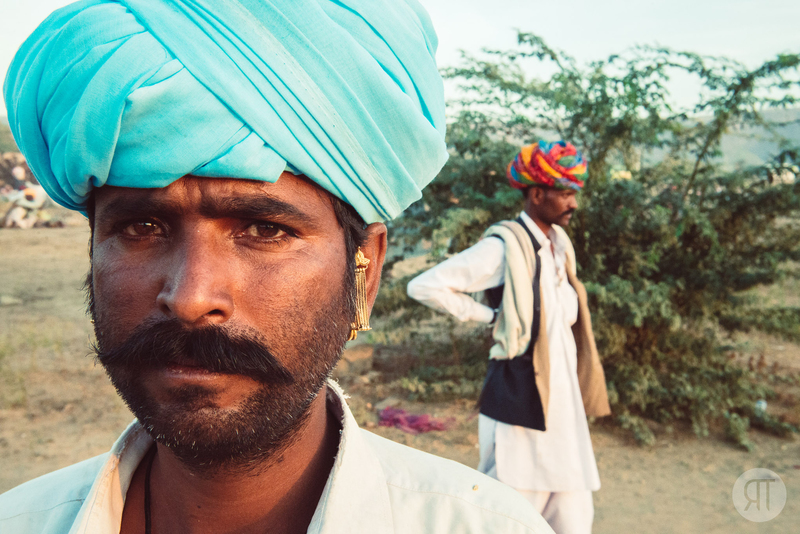 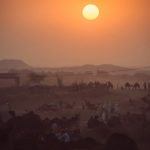 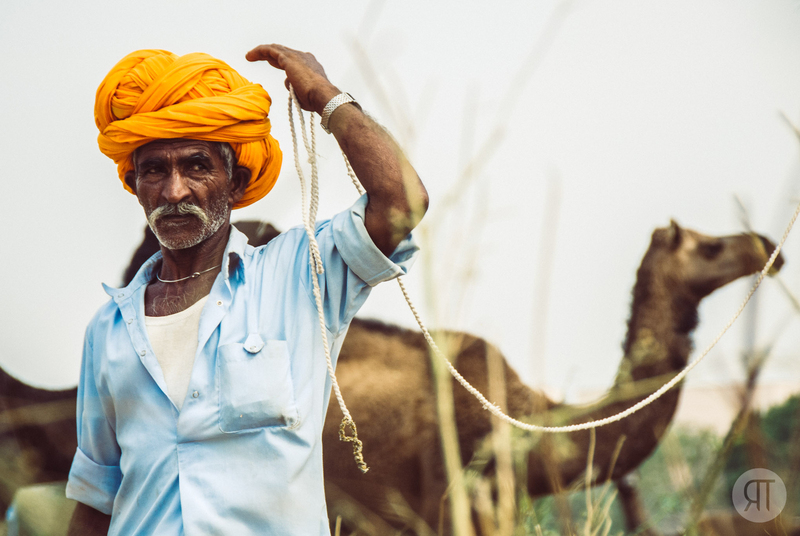 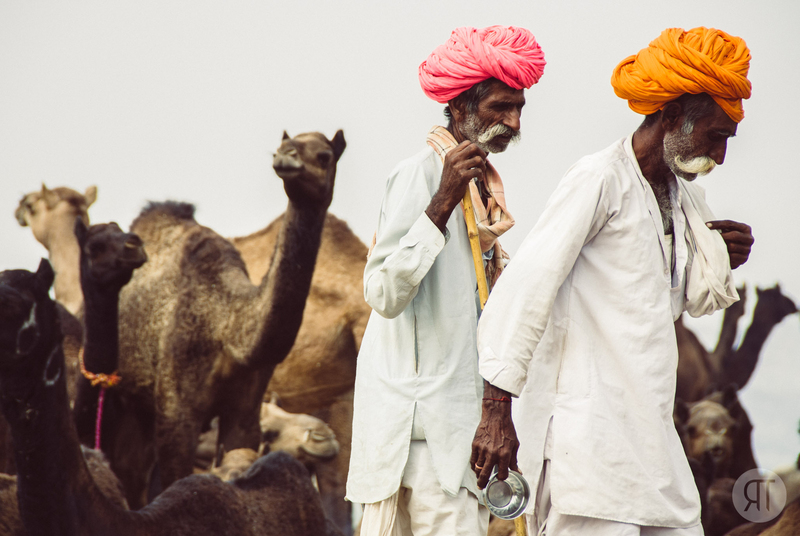 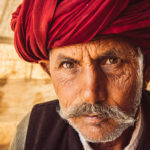 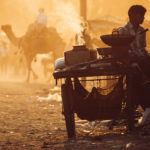 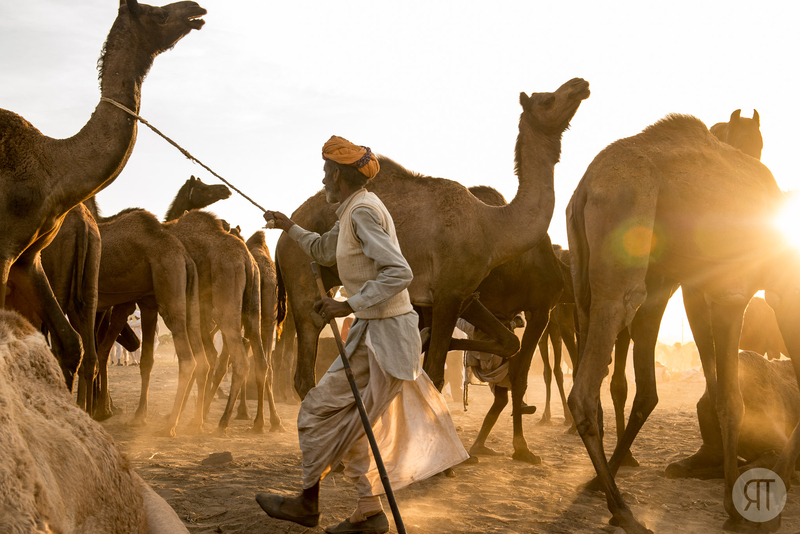 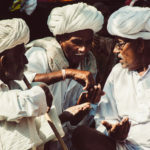 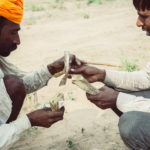 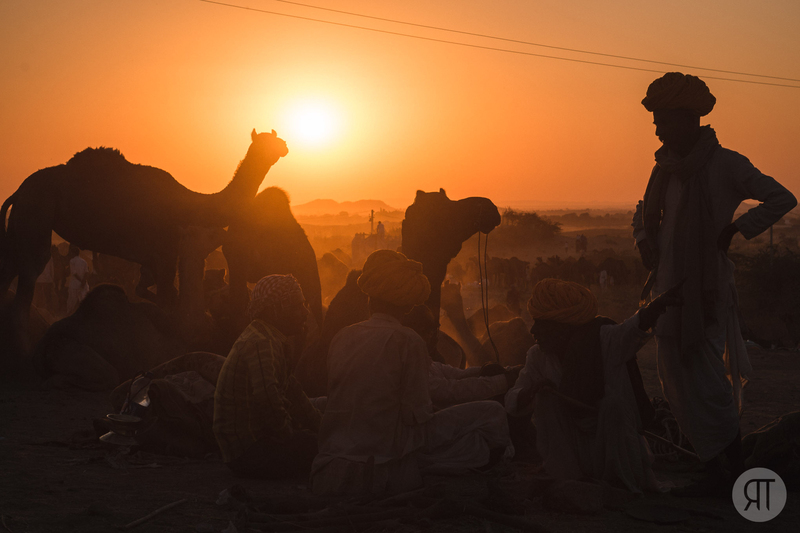 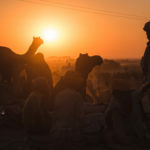 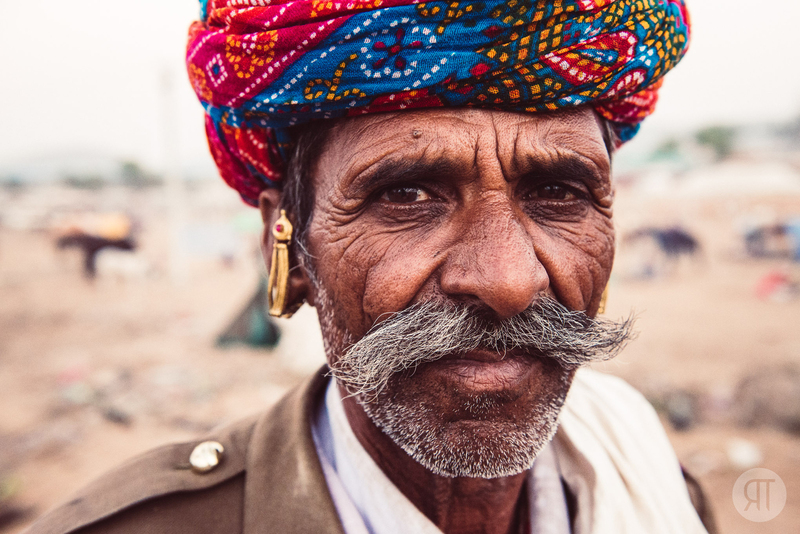 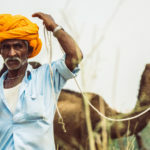 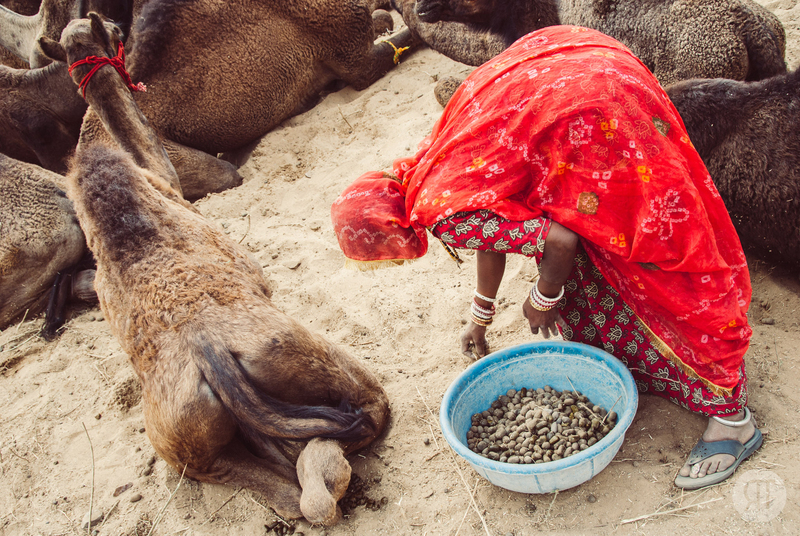 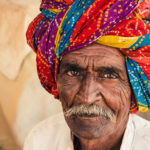 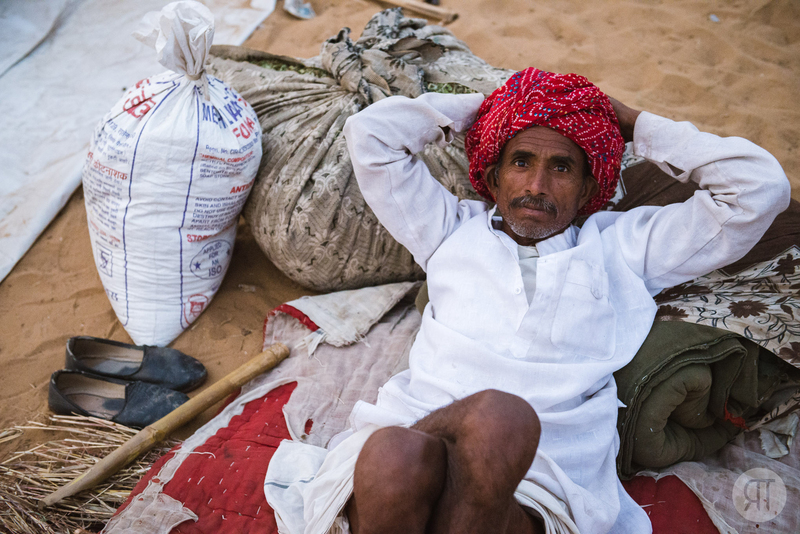 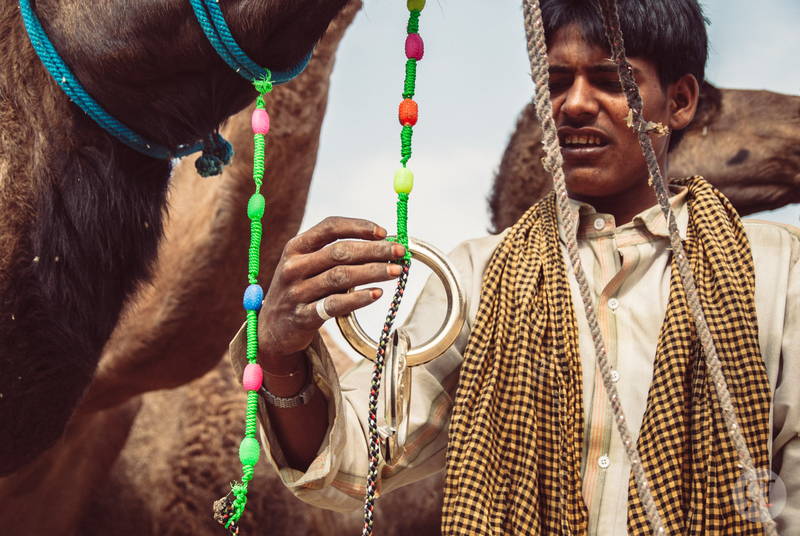 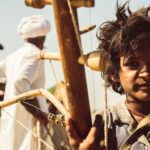 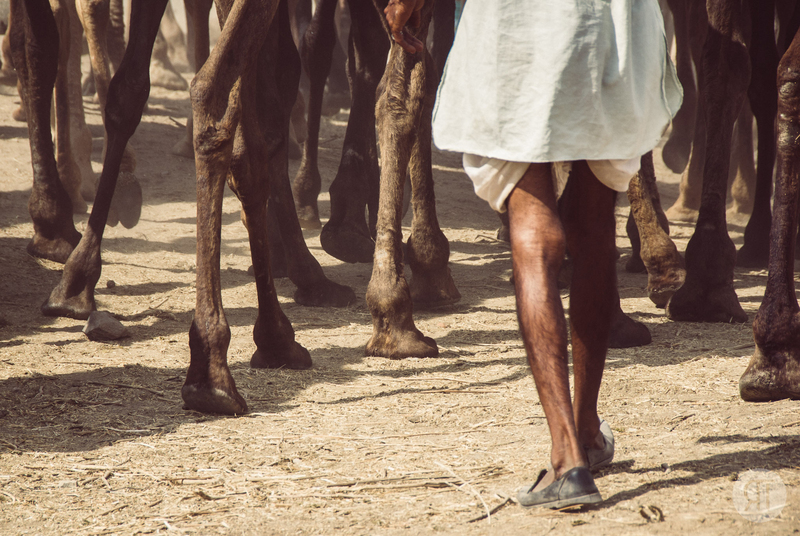 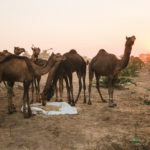 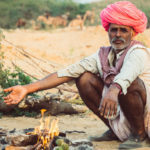 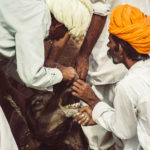 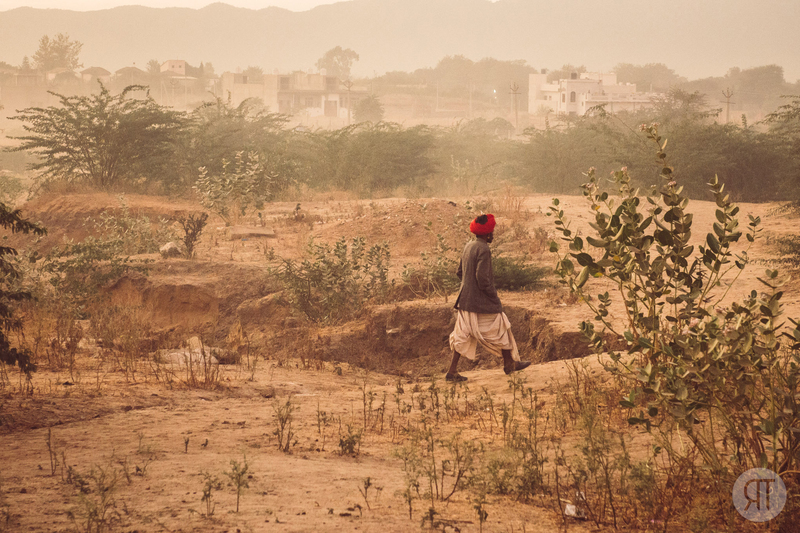 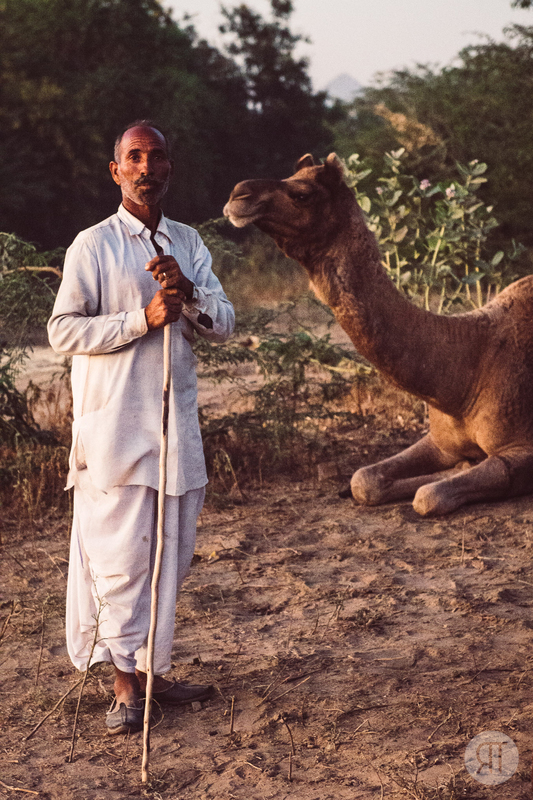 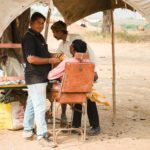 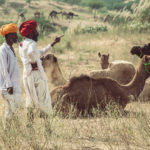 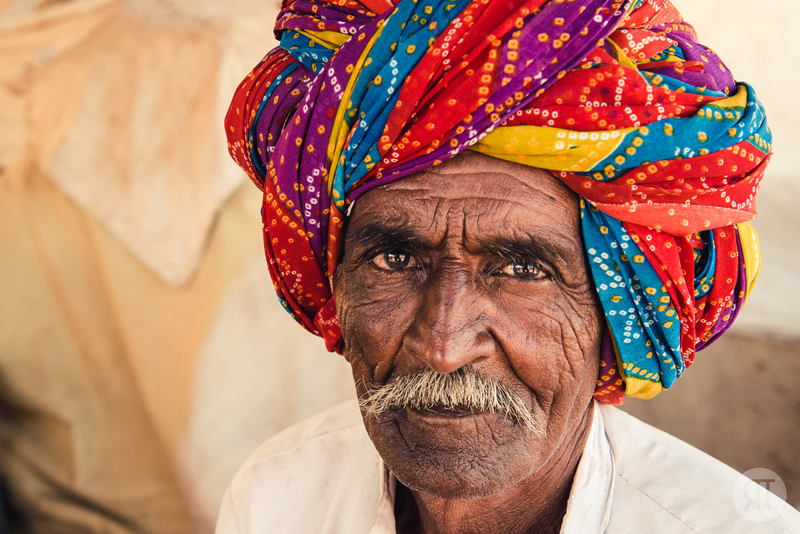 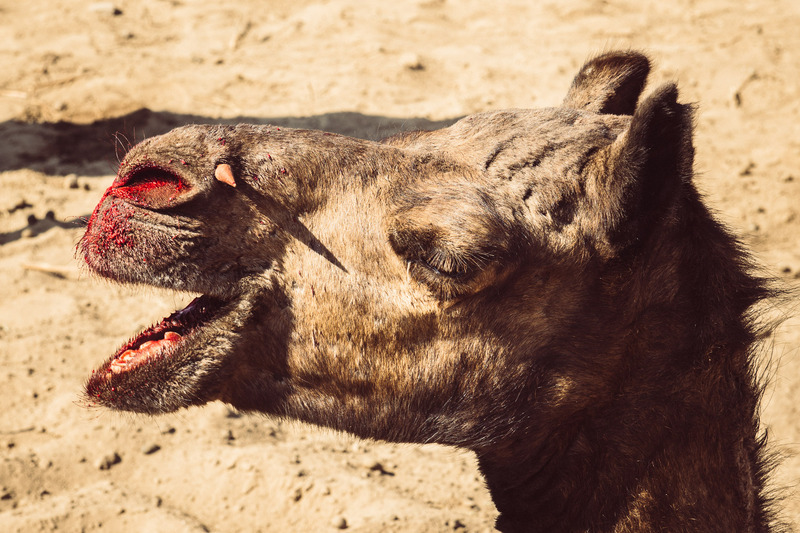 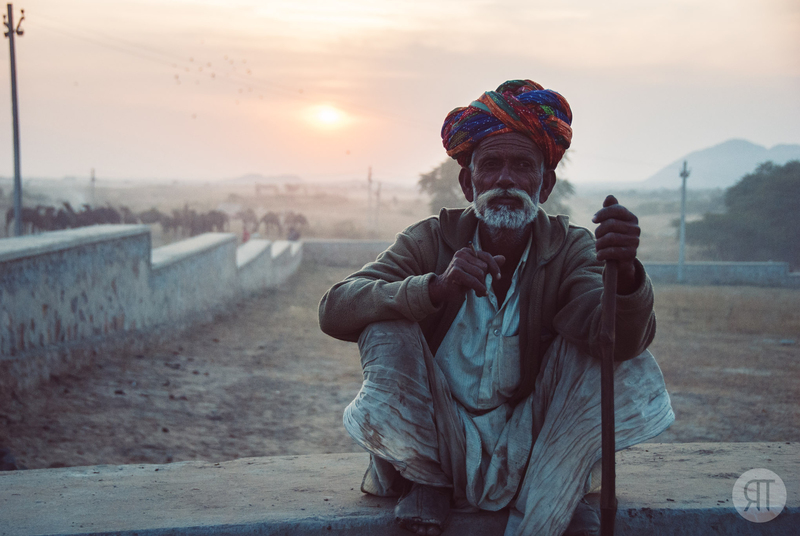 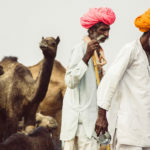 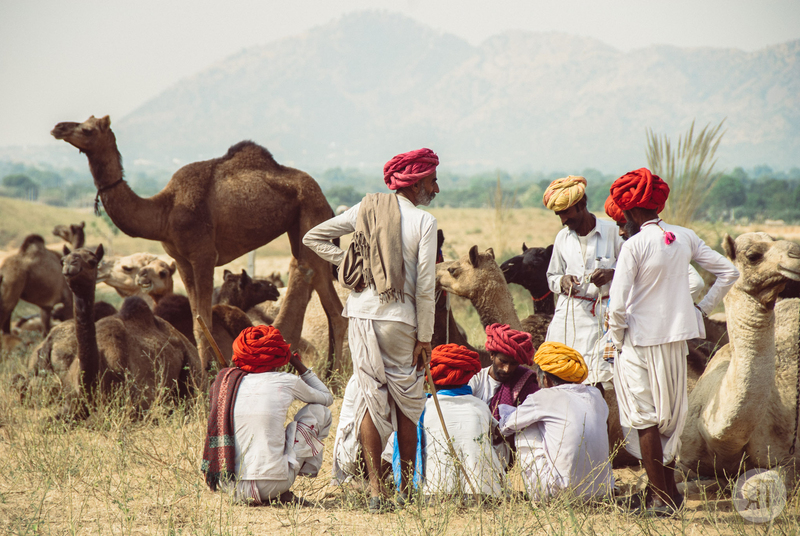 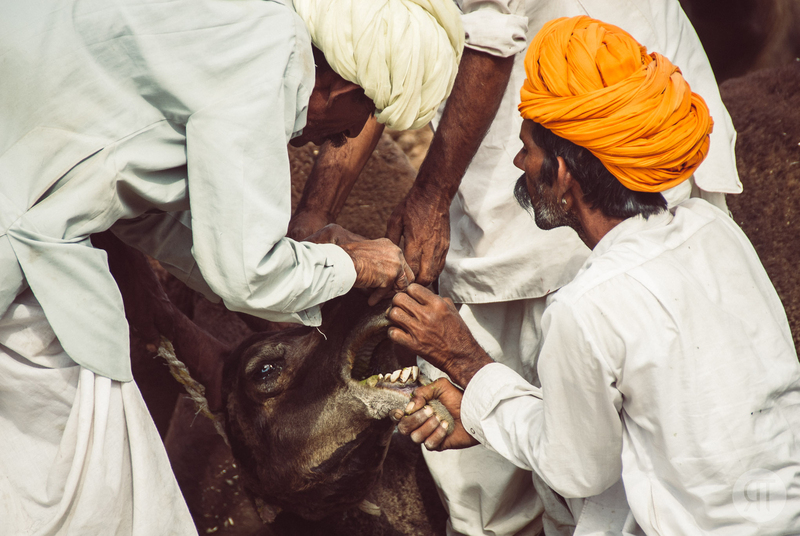 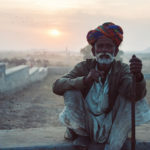 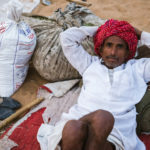 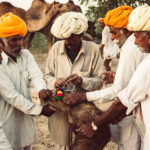 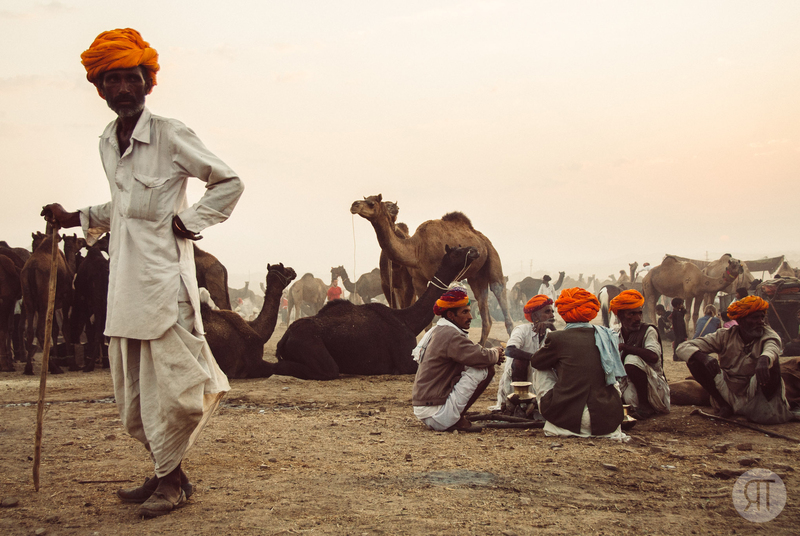 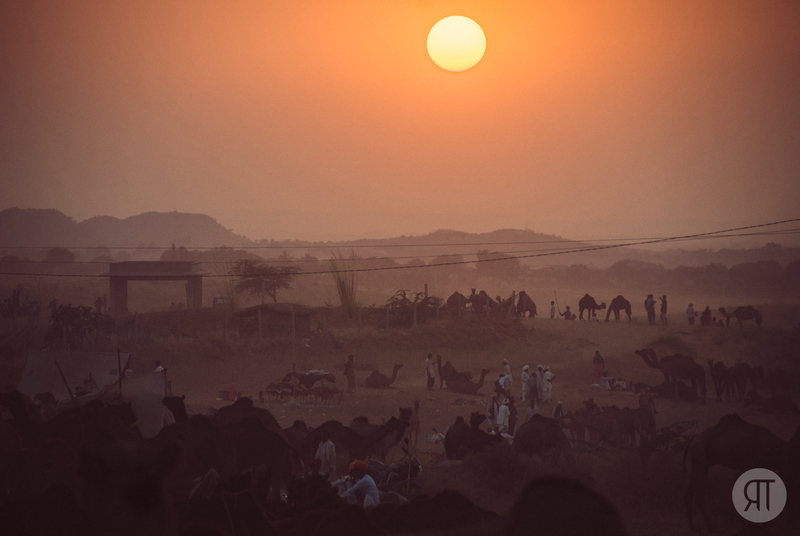 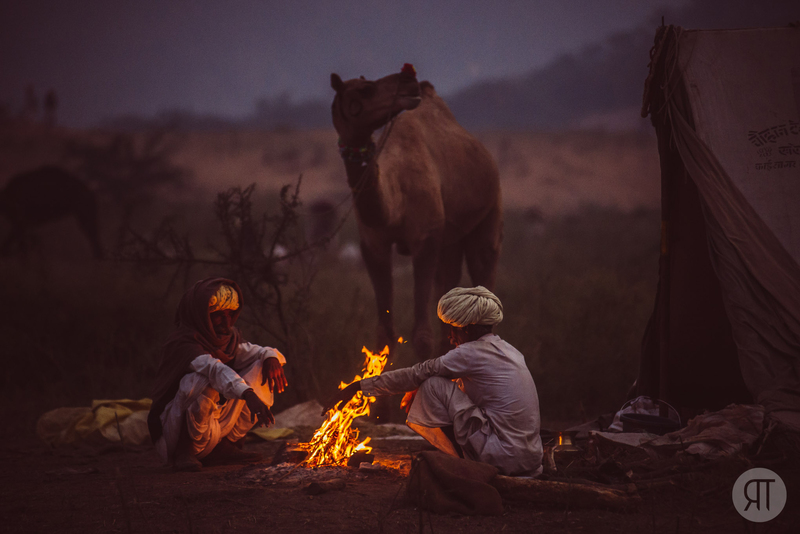 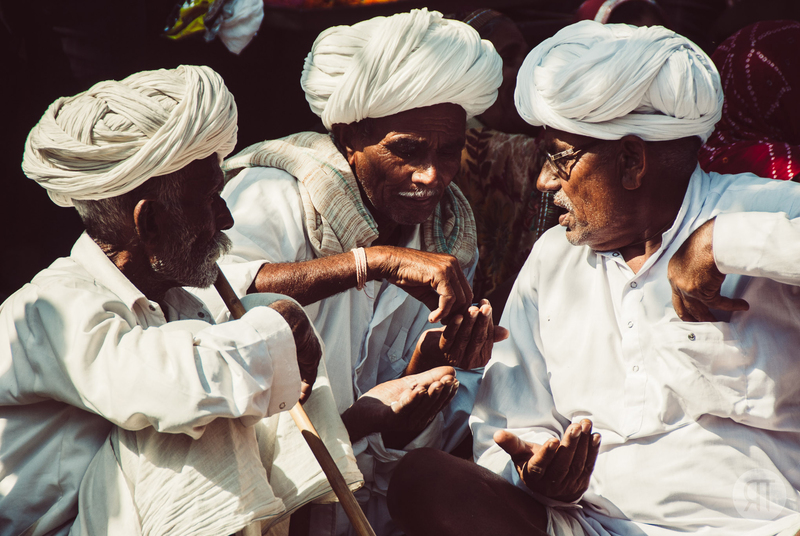 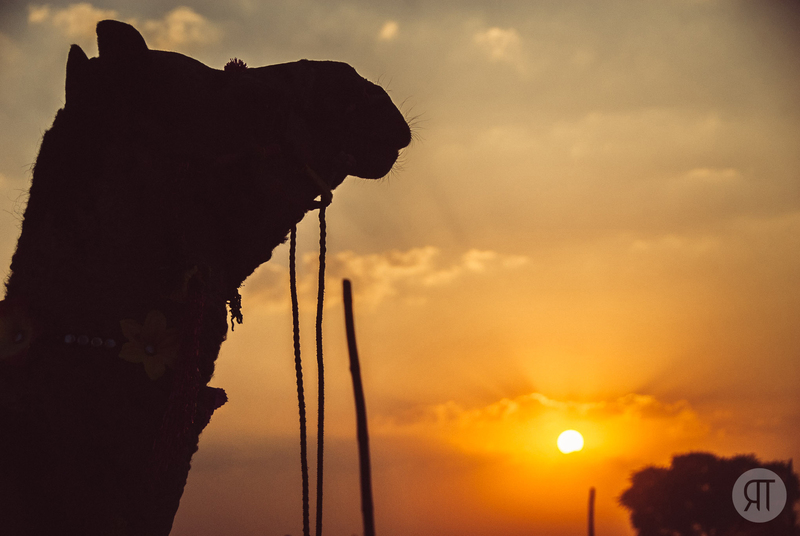 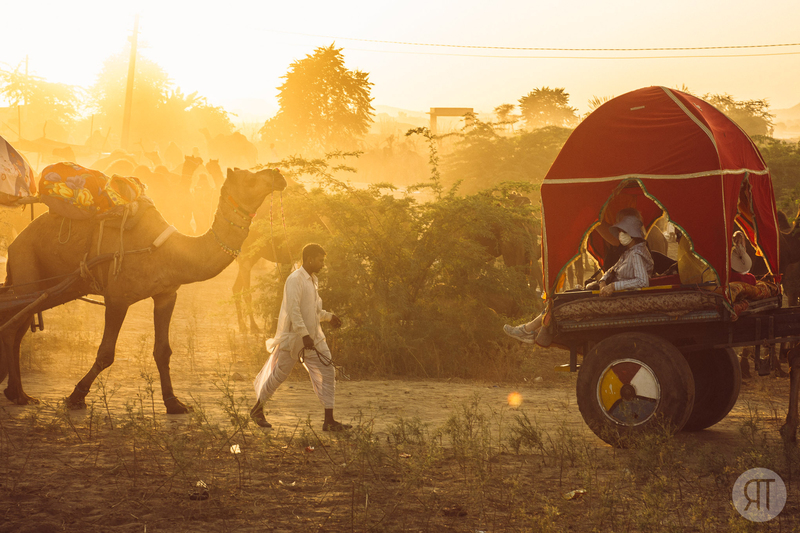 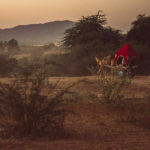 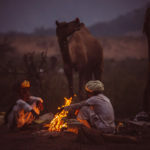 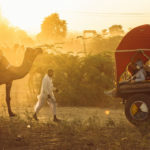 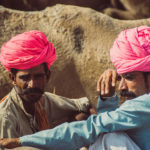 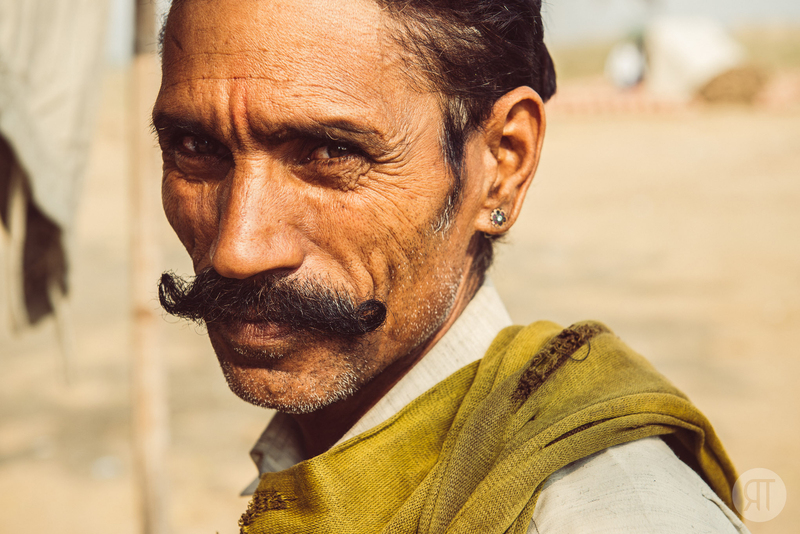 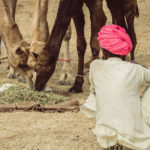 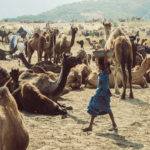 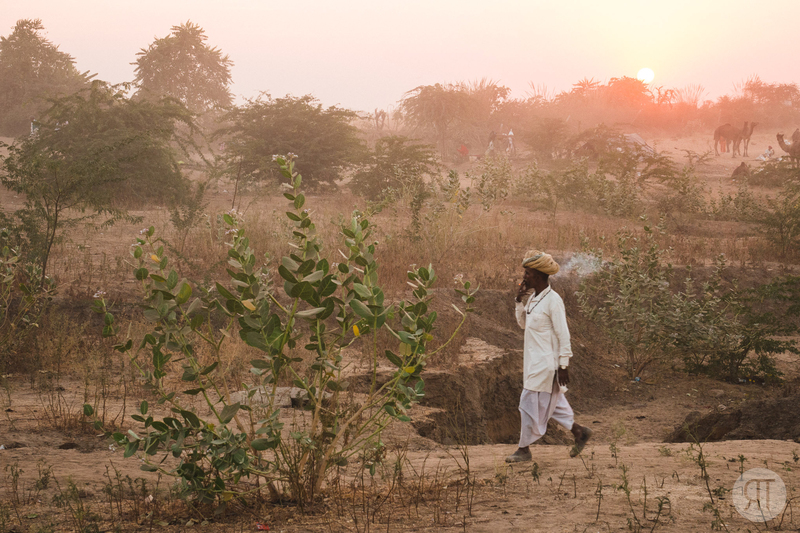 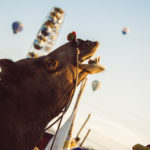 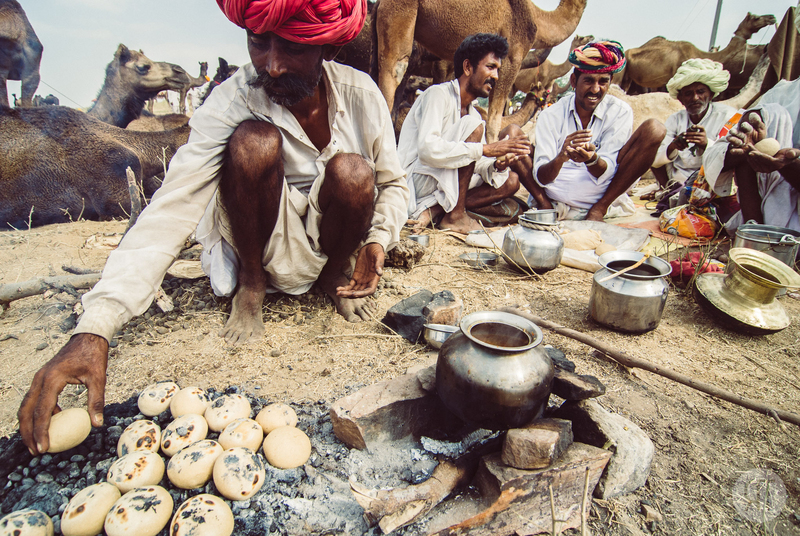 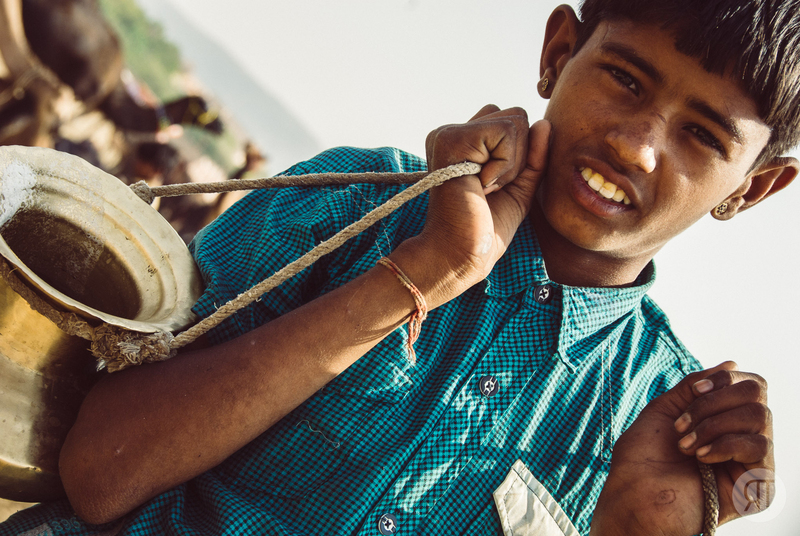 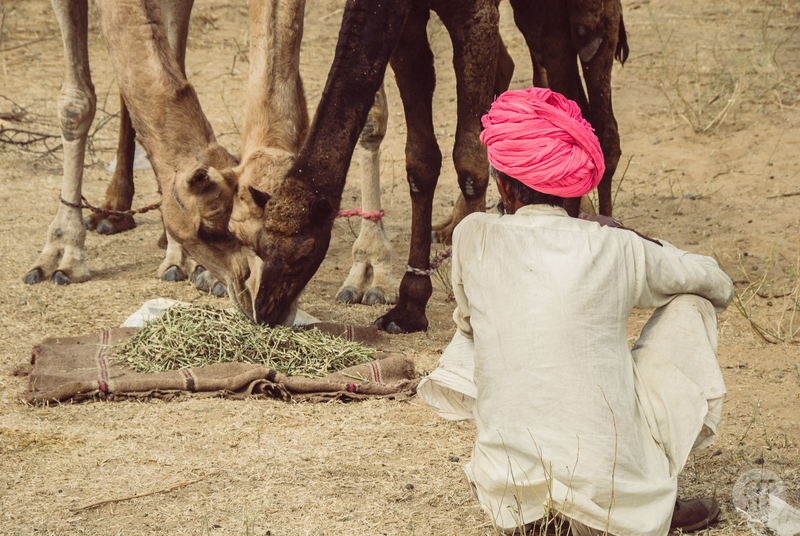 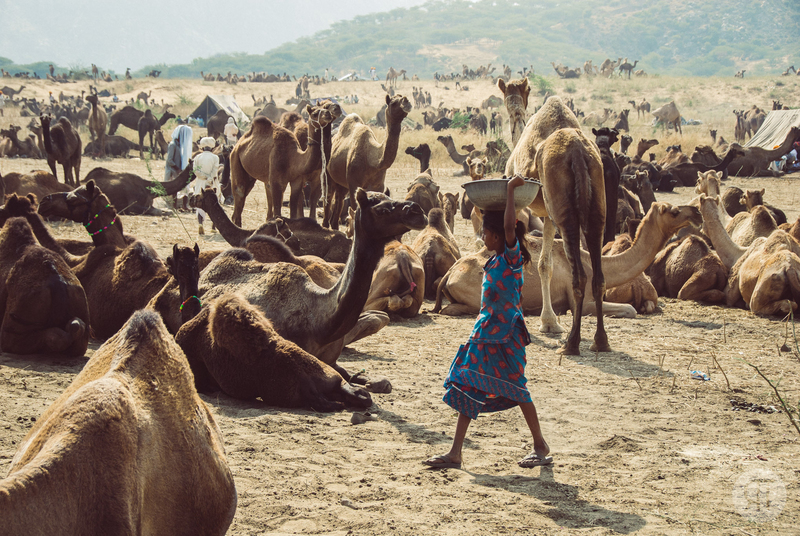 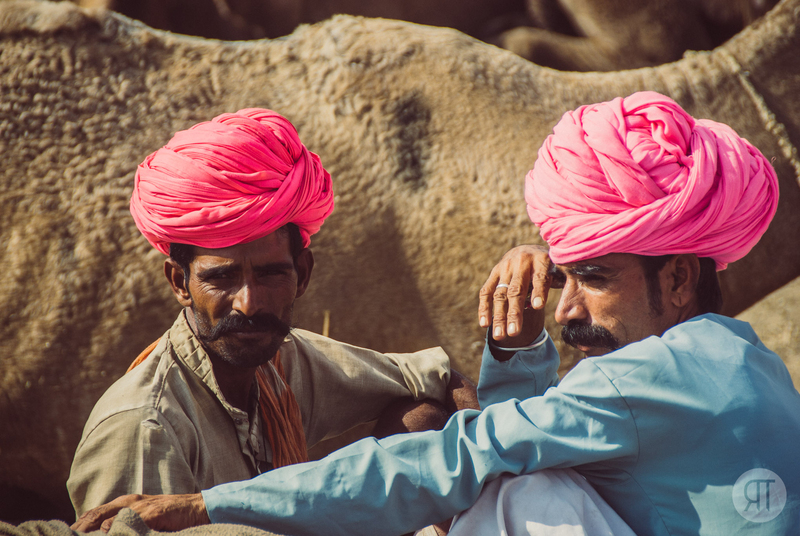 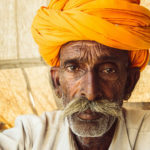 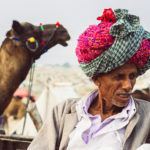 In Pushkar, a holy city on the outskirts of the Thar Desert, the perhaps largest camel trade fair in the world, takes place every year. 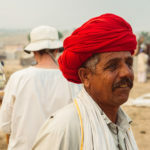 Over the course of the festival, thousands of people, both traders and sightseers, travel to the fair. 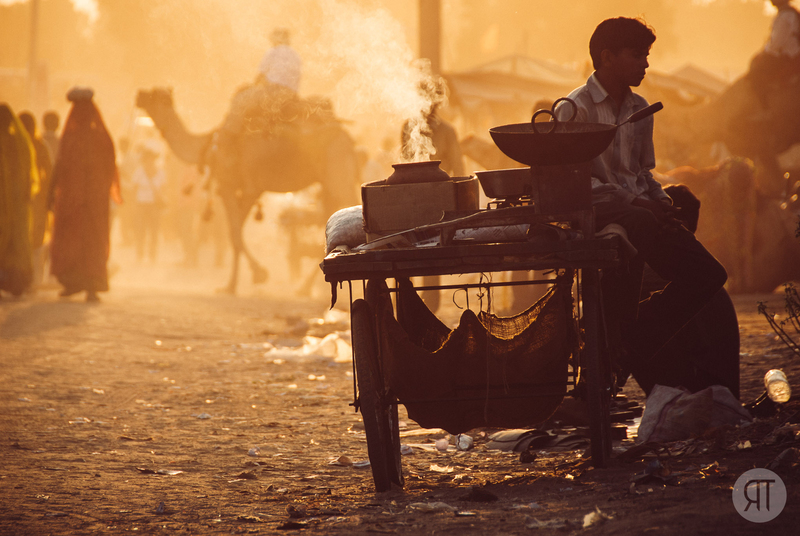 The otherwise tranquil town, is transformed into an enormous noisy and colorful tumult of activity. 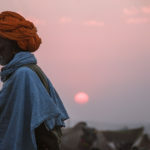 This spectacle never ceasing to amaze and astound onlookers, has been photographed countless times; copious documentation exists, recounting this tradition-steeped event. 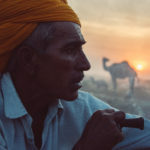 With patience and perseverance, however, it is still possible to capture rare and special moments in the early morning hours, or at dusk. 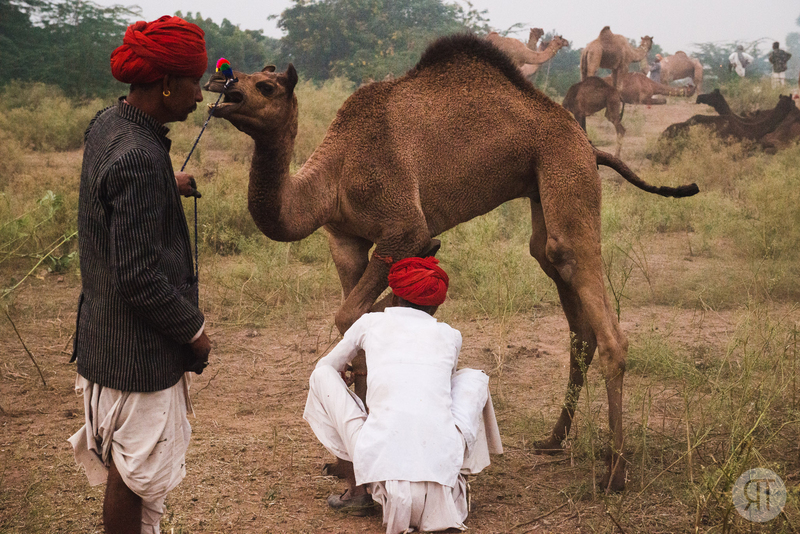 Images like this one reflect the sometimes touching intimacy between man and beast, in an almost magical way.